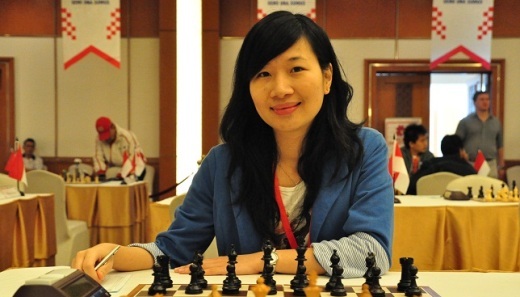 Hungarian Grandmaster Hoang Thanh Trang drew her last round game against the former continental champion Viktorija Cmilyte (Lithuania) to secure the first place in the tournament and claim the title of 2013 European Women’s Chess Champion. Trang played very well throughout the event, scoring seven victories and conceding only four draws for a total of 9 points from 11 games. She cemented the lead after beating the defending champion Valentina Gunina in round 8 and proceeded to defeat former World Champion Alexandra Kosteniuk in round 10. Trang rating performance was 2663 and she earned 26 elo-points. The 14th European Individual Women’s Chess Championship was held from 23rd July to 3rd August in Belgrade, Serbia.